In order to help popularize its movie rental business, Apple started to offer free movie rentals through iTunes. 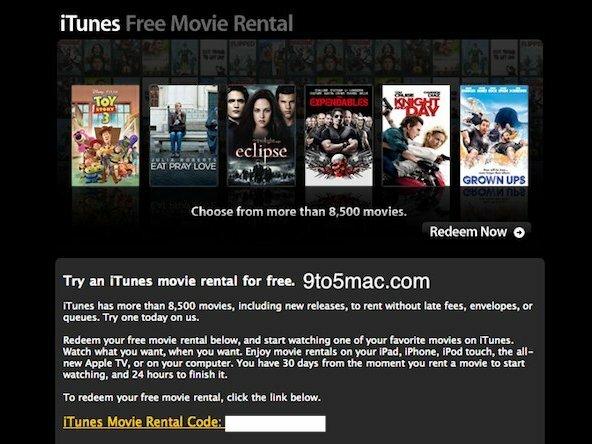 A sizable number of iTunes users already received codes for free iTunes movie rentals, redeemable for any of the 8,500 movies currently available in Apple’s catalog. 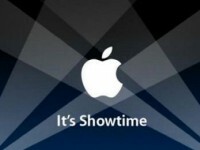 At this stage, it’s not clear what rules Apple is using to choose the lucky users who receive the coupon, however, it appears that a large part of the targeted users have recently acquired an Apple TV and/or an iPad. Remember, once you get your movie, your movie will expire 24 hours after you started watching it, or 30 days after the of your download, whichever come first.